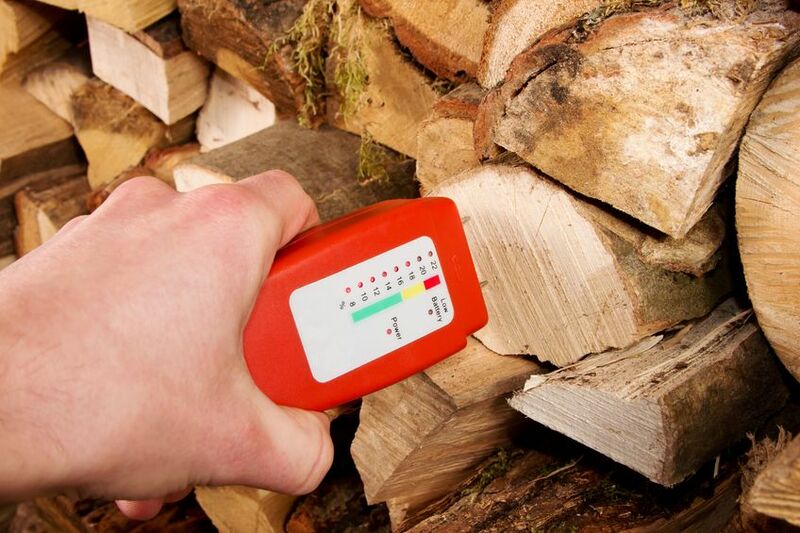 Firewood Moisture Meter - Are You Burning Seasoned Firewood? 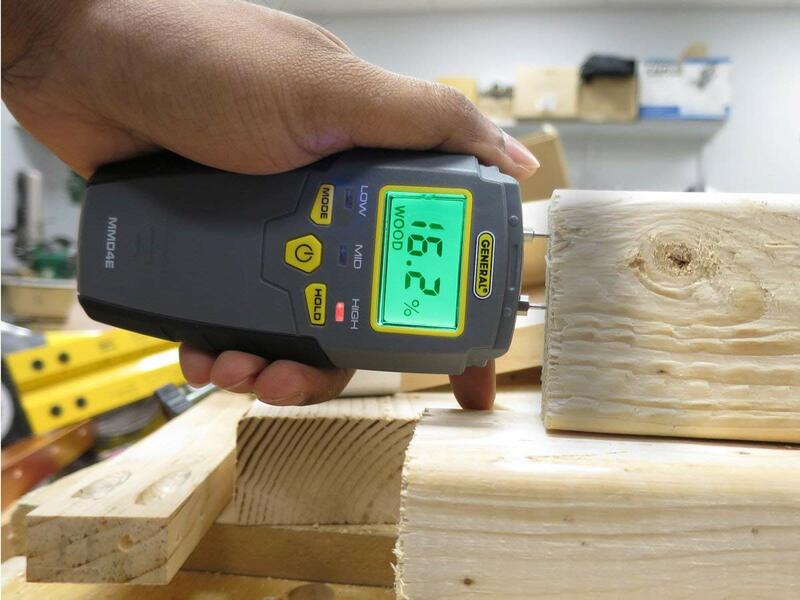 A firewood moisture meter can be used to determine the moisture content of your firewood, but are they a necessity or just a novelty? Seasoned firewood is considered to have a moisture content of 20% or less. Sounds simple enough right? But what exactly is 20% and how can you tell if your firewood meets these standards? 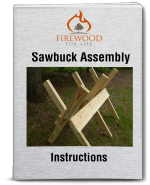 One of the easiest (and most trusted) ways to find out if your firewood is seasoned is to simply bang two pieces of the wood together. What sound or pitch do you hear? If you hear a ringing sound or something similar to two baseball bats hitting each other, the wood is seasoned and ready for use. If you bang the two pieces of wood together and you hear a deep thud, the firewood is still wet and needs more time to season. If you're looking for something more precise and you need an actual digital readout of the moisture in your firewood, a firewood moisture meter can be used. The devices are pretty simple to use and they are fairly affordable if you choose one of the cheeper models. The moisture meters are not specifically made just for firewood. They can be used to test the moisture levels in a variety of different materials. Depending on the model you choose, they cost around $15-$35 and have an accuracy of around 1-3% which is more than enough for firewood. To test your firewood, simply push the pins into the wood and wait for a reading. Remember, don't just stick the meter into the ends of your firewood. To get the most accurate reading, split the wood and test the center. The center of the log will contain the most moisture. I personally like to test both the end and the middle of the log to see both results. On a lot of the cheeper devices, the sharp pins could bend or break when you try to drive them into a tough piece of wood like oak or beech. Some of the manufactures offer replaceable pins. A moisture meter can be purchased online or at some large home improvement stores. Shopping online will give you the largest variety and options to choose from. I personally own the General Tools Moisture Meter and I love it. I've used it to test everything from firewood to the subfloor in my home. If you sell firewood and you have customers who want to see the moisture content of the wood they are buying, one of these meters might be a good investment. Is it a necessity to own one of these moisture meters? No, you can still use, sell and purchase seasoned firewood by understanding what it looks like and knowing how to identify it. However, if you're looking for a neat little gadget that can give you the actual moisture percentage contained inside your firewood, a moisture meter is definitely something to consider.